Maintaining your privacy when using P2P networks is becoming an increasingly hot issue amongst the internet community with authorities increasingly keen to clamp down on P2P file sharing. Services like BitTorrent and Gnutella share data with anyone that asks for it which allows a third-party to systematically monitor user behavior. 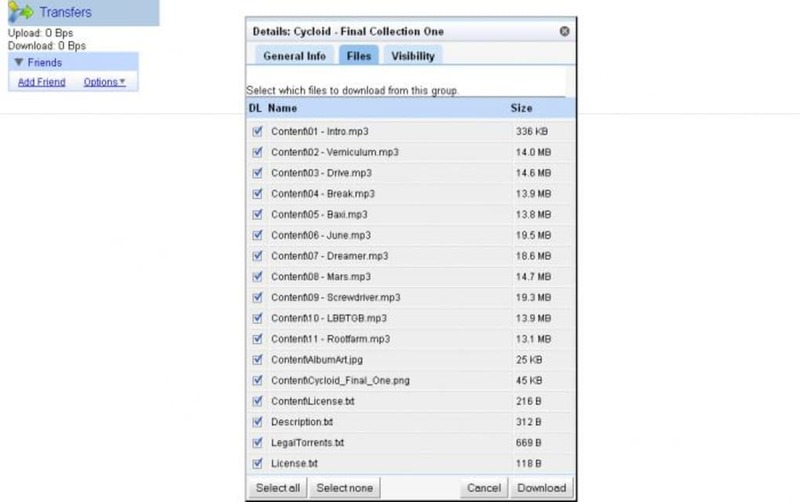 OneSwarm has been designed to provide users with maximum control over how their files are shared. If you choose, you can make all your activities public or you can choose to share it with just those friends and colleagues you trust. 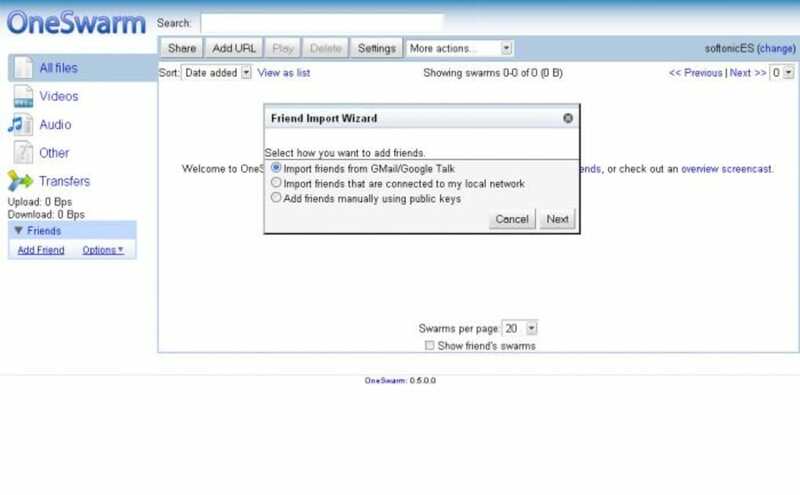 When you open One Swarm, it opens a new tab in your browser from where you operate One Swarm because although it uses an installer, this is purely a web app. Note that it doesn't search for torrents within it's interface like eMule does. Rather, from it, you can search the net for torrents and then load those torrent files into One Swarm for downloading. This is quite confusing for those new to P2P file searching but the advantage is that when you start downloading, you have a high degree of control over how it's shared and who can see what you're sharing. Alternatively, OneSwarm is useful just for sharing files with friends. It would be useful though if the developers had provided more in the way of a guide to getting started. Because it's so different from most BitTorrent clients, it can be quite confusing at first. OneSwarm is the BitTorrent client for those that know what they're doing with P2P file sharing, want maximum security and don't mind working from a web interface.